This table provides a simple, at-a-glance view of what is changing with the release of TaroWorks 3.0.0. Majority of changes stems from the security and functional improvements of using the partner community site. For more information please click on the link for each one. 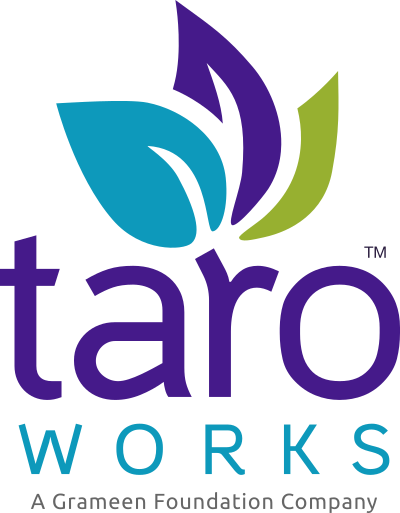 Device must first be set up by entering the URL for the Partner Community for TaroWorks. To login, enter username and password. Usernames must be less than 64 characters, no other restrictions. Usernames must be in the form of an email address. No restrictions on passwords. Administrators can set password strength, and other security policies. There are no messages from salesforce asking for permission On login you might get a message that TaroWorks is asking permission to access salesforce. * If upgrading from 2.27.x, a migration wizard will help convert all existing Mobile User record into new Partner Users. ** This does not negatively impact the ability of your field officers to perform jobs offline. Information collected by jobs are stored on plain text file on the device. All information regarding jobs (except photos and signatures collected) are encrypted on the device. Logs and stacktraces, used in debugging of mobile app issues are automatically saved in plain text file. Field officers need to manually enable saving of logs and stacktraces and these are always encrypted. Password policies and lockouts (after multiple incorrect tries) cannot be implemented Password policies and lockouts can be implemented using User Profiles. Not possible to restrict syncing to certain times of day or certain IP addresses. Syncing time and source IP addresses can be controlled using User Profiles. Sharing reports and dashboards with mobile users, donors and external stakeholders required allocation of a salesforce license per person OR creating a special public website in salesforce. Reports and dashboards can be accessed by others (view only) via the partner community easily. Users must have salesforce licenses to download PDFs and other files in libraries. PDFs and other files in libraries can be downloaded by Partner Community users. It is not possible for mobile users to log into salesforce to create or edit records using a web browser. It is now possible for mobile users to login via web browsers and create / edit records that way. White-labelling of the mobile app is not possible. White-labelling of the login page is now possible. Default record types for objects cannot be set without workaround. Default record types for records created by field officers can be set using profiles. Default currencies for records by user cannot be set without workaround. Default currency for records created by field officers can be set using profiles. * This limit can be increased by contacting your account executive at Salesforce.com. Performance Management - Indicators. Target can only count the number of records related to the mobile user contact. It is not possible to sum one of the number fields inside. Target can count the number of records related to the mobile user contact AND it's now possible to sum one of the number fields inside the records. Geolocation fields can only be seen in drill down and view data task in jobs if you break it up into two number fields first. Geolocation fields can be seen in drill down and view data task in jobs without any special workarounds. It was impossible to smart-populate a GPS question using a geolocation field. It is now possible to smart-populate a GPS question using a geolocation field. Field Officers have to scroll up and down a long drill-down list to find the desired record. Field Officers can now type in a short string during the drill down to find that record faster, or use Up and Down buttons at the bottom. Field Officers users cannot always edit all tasks of an incomplete job. Fields Officers can now edit any job and the tasks within as long as it has not already been synced.